The countdown is on – the GlowDOGGlow 5K is eight weeks away! 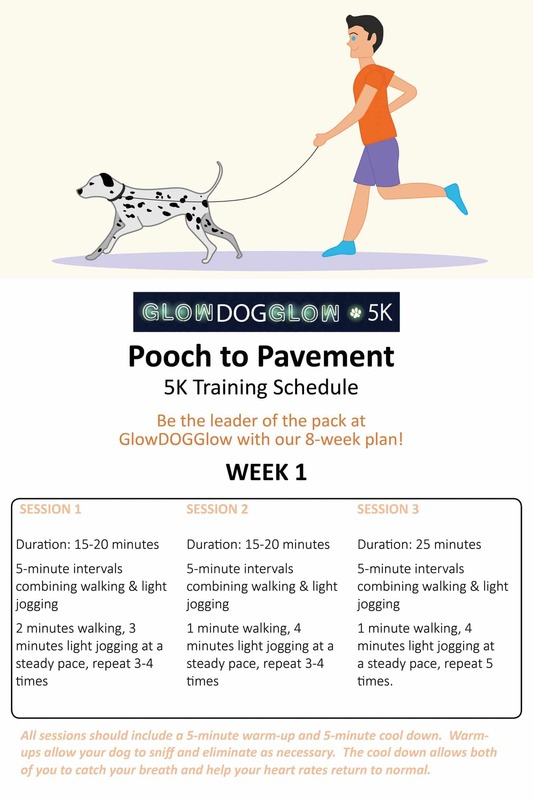 While we encourage walkers and runners of all skill levels to join us for this amazing family-friendly event, what better motivation to get out with your dog and train together to run our illuminated course. 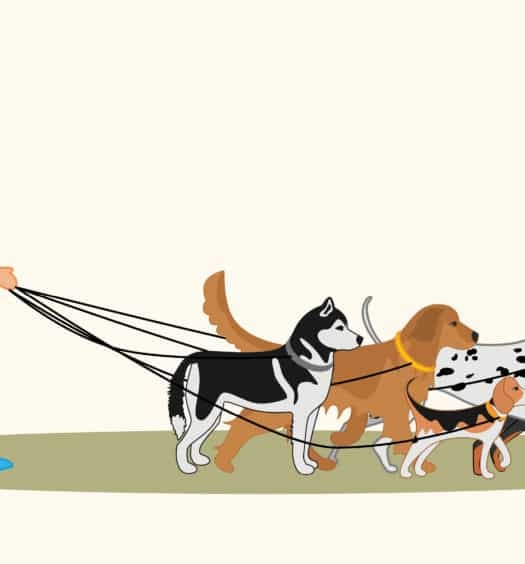 Our 8-week plan is perfect for pooches and their people who are used to leash walking an average of 20-30 minutes per day, 4-5 days per week. By the end of the eight weeks, both of you should be able to comfortably and safely complete the 5 kilometer (3.1 mile) course. Take it slow during the first week. These sessions are less about the number of miles logged and more about paying attention to your dog’s pace and working on verbal commands and leash training. 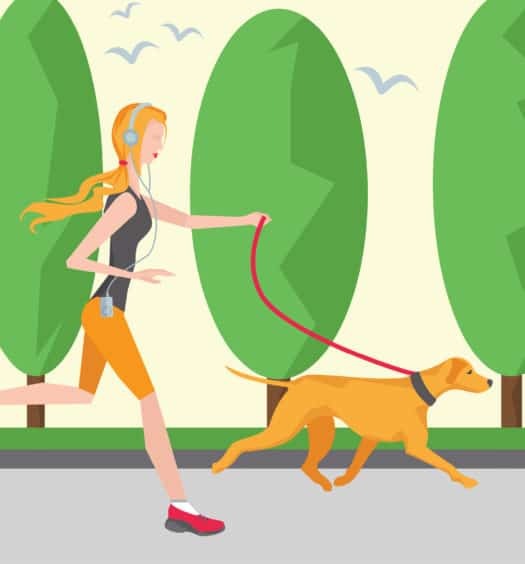 Remember, before beginning any exercise regimen with your pet, visit your veterinarian to get specific training advice for your dog’s age, breed, physical health, and personality.